Yell Mod supplies a amazing button called the yell button (Y by default). Upon the pressing of such perfectly crafted buttonry, your ears will be greeted by the sounds of your player yelling. In 3rd person, you can see high definition triple A yelling effects applied to your character, such as derpy eyes, open mouth, and a shaking body. You can also yell at blocks and watch them react. 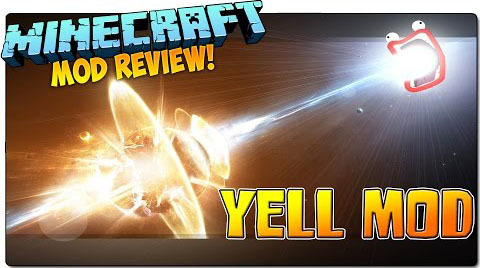 You can charge your yell by pressing Y and release it upon a nearby village to see it ripped from this world (Warning: charging over 9000 will result in the solar system exploding).